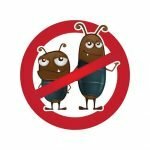 Home pest control products can be scary at best, especially for the homeowner who is lacking in specialized knowledge on how to treat for pests. Think Green Pest Control has gathered the details of the scary truth you need to know about home pest control products. The lack of knowledge about the products homeowners are using, and the risks those products pose, is very dangerous indeed. Many pest control products are toxic, not just to the pests but also to humans and pets. The chemicals used in pesticides are often found to contribute to learning difficulties, neurological problems, cancer, and reproductive problems. Often homeowners simply don’t take the time to learn about the health risks associated with the products they are using, unlike professionals who know the products well and can advise which ones are most suitable and how to stay safe from the risks. 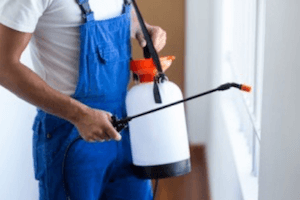 Placement of home pest control can make a huge difference when it comes to the health risks posed by toxic pest control products. Professionals have the knowledge and specialized equipment to strategically place chemicals where they will be most effective and least accessible to pets and children. Using too much of a product is easy. Unfortunately, many pest control products are only effective during certain stages of the life cycle of the pest. By applying products at the wrong point in the cycle, it may seem ineffective, so users resort to adding extra. This excess may bring on negative effects from the products, such as vomiting, dizziness, convulsions and more. The sad reality is that pest control efforts can have a damaging effect on the environment. However, professional pest control technicians understand the pitfalls of the products they use and have the training and knowledge to mitigate such effects. Overuse of pest control chemicals, as is typical of home pest control efforts, can lead to an abundance of toxins in the air near your home and the ground surrounding it. It may even impact water supplies and vegetable gardens, which ultimately means your household is ingesting such chemicals. Also, homeowners may not be aware of regulations in their area concerning the use of pest control chemicals on certain pests. 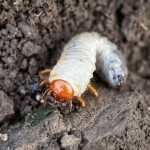 Professionals can handle safe removal of such pests without harming them. Homeowners who undertake their own pest control efforts may find it is more costly than they anticipated. Do it yourself efforts can mean you have significant trial and error, leading to increased cost of supplies. You may even spend a lot of time ridding your home of pests, which means less time doing the things you enjoy. Instead of home pest control products that can wreak havoc on your health, consult a professional pest control team to take care of any pests in your home or business. Get in touch with our expert team at Think Green Pest Control now and discover the healthy difference professional pest control can make.